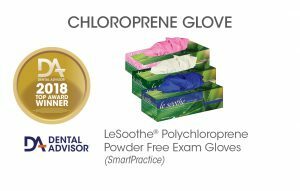 Le Soothe Polychloroprene Powder Free Exam Gloves are latex-free, ambidextrous, single-use gloves containing an emulsion of aloe vera and vitamin E. Le Soothe Polychloroprene Exam Gloves are polymer coated for easier donning. The gloves are ivory colored and feature a textured surface. They are packaged in 100-count boxes in sizes large, medium, small, and extra small. 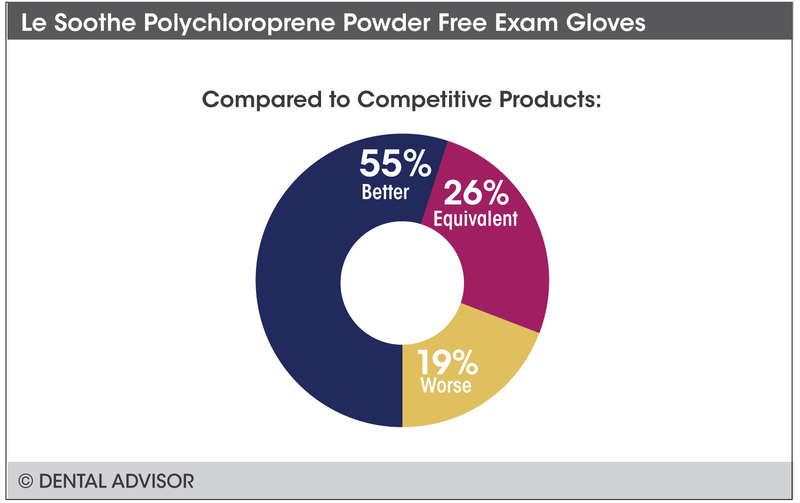 Polychloroprene exam gloves are also available from SmartPractice in color options of Pink, Green and Sapphire. 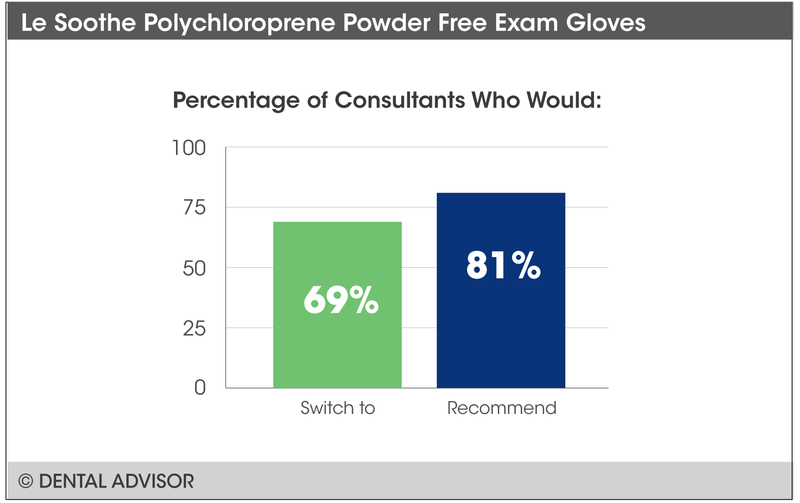 Le Soothe Polychloroprene Gloves were evaluated by 58 dentists, dental hygienists and dental assistants in over 2100 uses. This non-latex glove received an 89% clinical rating. 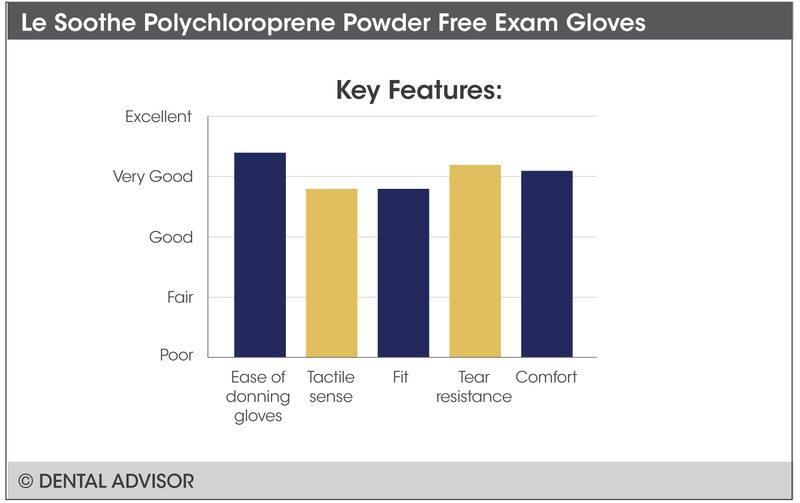 Le Soothe Polychloroprene Gloves feature a greater amount of stretch than consultants’ other non-latex gloves, including vinyl and nitrile, contributing to a high level of tear resistance in the gloves and reduced hand fatigue. The textured fingers improve grip and allow good tactile sensitivity. This glove extends higher over the wrist, offering more protection. The aloe vera, nopal, and vitamin E in Le Soothe Polychloroprene Gloves combine to leave hands feeling soft and silky after use.